You know how marketing and promotions work, right before something is about to debut about a person, all kinds of news start to circulate. Bobby Brown has a movie coming out in September so get prepared to go on an ole school emotional roller coaster of feelings. August will lead you right into September, ready to watch the NEW story about Bobby Browns life. 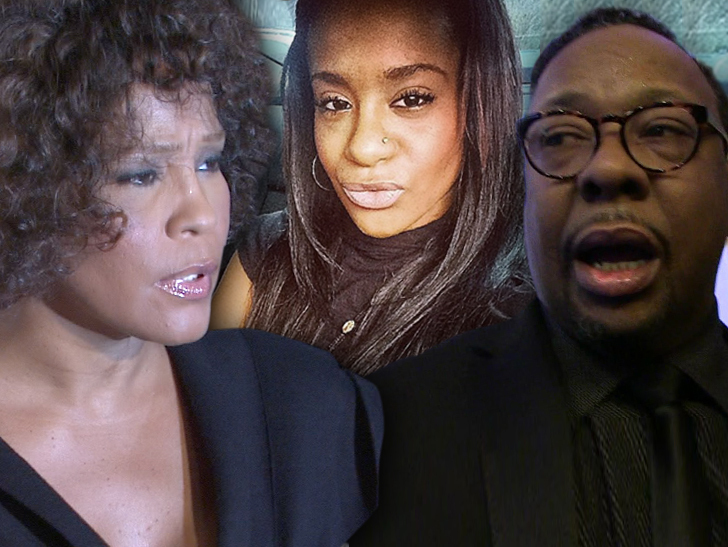 Now moving on, personally, I would think that it’s bad enough Bobby Brown has to live with the fact that he lost his entire family which one time consisted of his wife, Whitney Houston and daughter Bobbi Christina Brown. Now the news is spinning with the allegation, despite what records may say or show, that he abused Whitney Houston. Bobby Brown got involved with The Bobby Brown Show, the sequel to BET’s The New Edition Story, because he wants his story to be told correctly. Specifically, he wants the world to know that he’s more than the “bad boy” reputation he’s earned over the years. At a Television Critics Association press tour panel on Friday, Bobby attempted to clear up several longstanding, documented facts regarding domestic-violence incidents between himself and his late ex-wife Whitney Houston. via Vulture: After saying that he doesn’t have regrets in his life, though he does “feel bad” about some of the choices he’s made, Brown was asked by a reporter at the TCA panel if that belief extends to the incidents of domestic violence witnessed by his late daughter, Bobbi Kristina. When a different reporter read from an ABC News story that contains the audio of Houston’s 911 call and pointed out that it’s in the public record, Brown replied, “The public record is wrong.” A BET rep promptly ended the session, then canceled the five-minute press scrum with Brown and the Bobby Brown Story actors that was scheduled to take place on stage. Do you believe Bobby or the documented history?